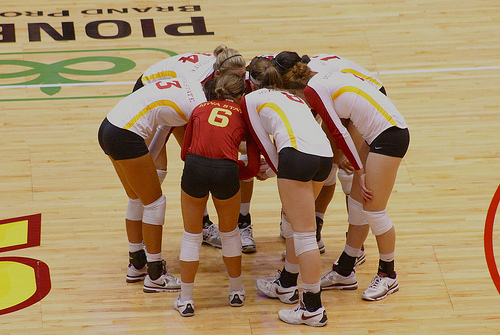 Volleyball Communication Skills: Players who don't communicate with their teammates on the court handicap and hamper their team's ability to win. Good volleyball communication skills on the court during a game is crucial to your winning success. Why? Because refusing to talk on the court is like playing volleyball with a blindfold on. How are teammates supposed to know "who" is going to do "what" if members of the team stay silent while the ball is in play. I first learned how important good volleyball communication skills were when I travelled from my home state of California to play in college on a volleyball scholarship as a Lady Vol for the University of Tennessee, Knoxville. In high school, during girls games, I didn't talk much on the court because I knew I was one of the main hitter's on the team and I knew the my setter was going to set me the ball the majority of the time. As a freshman playing in college, the upperclassmen and the captains on the team let me know very quickly that I was breaking one of the most important rules of volleyball communication. Volleyball Communication Skills: How are teammates supposed to know "who" is going to do "what" if members of the team stay silent while the ball is in play. By being silent on the court and maintaining my silence for my own personal selfish reasons while playing, was not beneficial, for any of the other players on the team. They taught me that volleyball players need to know what each other sees and what each other is thinking while each play is developing. This is especially true since volleyball players can't read each other's minds and there's very little time during the game for players to guess whether one of their teammates is bringing an "off the court" problem that has nothing to do with volleyball, on the court. I wasn't talking on the court. I didn't share any information with teammates which didn't help them understand what I was thinking or what I intended to do. 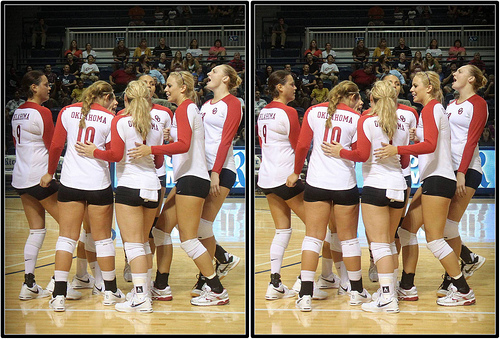 Communication in volleyball. Volleyball is a team sport, not an individual sport. Players who don't communicate with their teammates on the court handicap and hamper their team's ability to win. Volleyball is a team sport, not an individual sport. Players who don't communicate with their teammates on the court handicap and hamper their team's ability to win. This is one of the most important of all the rules of volleyball communication a player can learn. Players on the same team should always talk to each other and direct traffic among themselves while the ball is in play. This is because players who talk to each other avoid problems of confusion, indecision and surprise on the court. I learned this lesson from some of the best players and coaches to play the game so now I'm passing this information on to you. Learn more about Smart Tactics by clicking the Related Links below. .